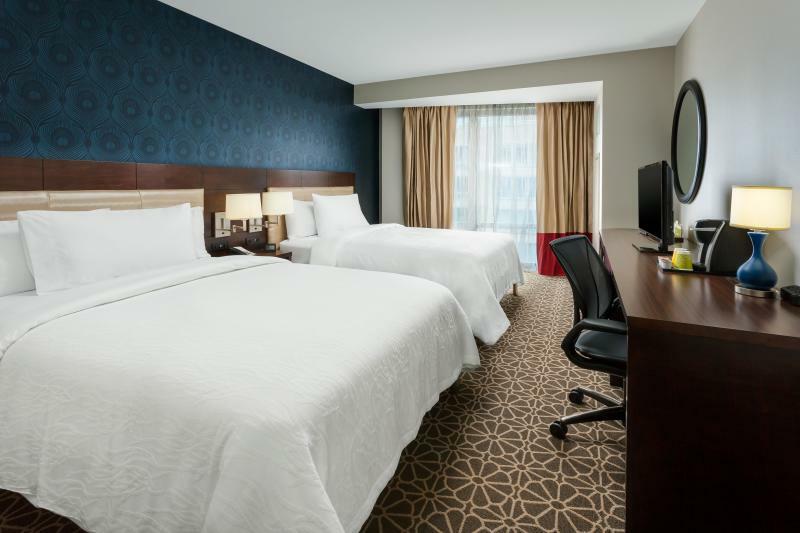 The recently opened Hilton Garden Inn Washington DC/ Georgetown Area is set in the fashionable West End of Downtown Washington, DC, just four blocks from Dupont Circle and Foggy Bottom Metro stations and the shops and restaurants of Georgetown. Visit popular DC attractions such as the U.S. Capitol, White House, National Mall and Washington Monument. Attend a performance at the Kennedy Center, discover the exhibits at the Smithsonian Institution and Museums and take the family to the National Zoo. 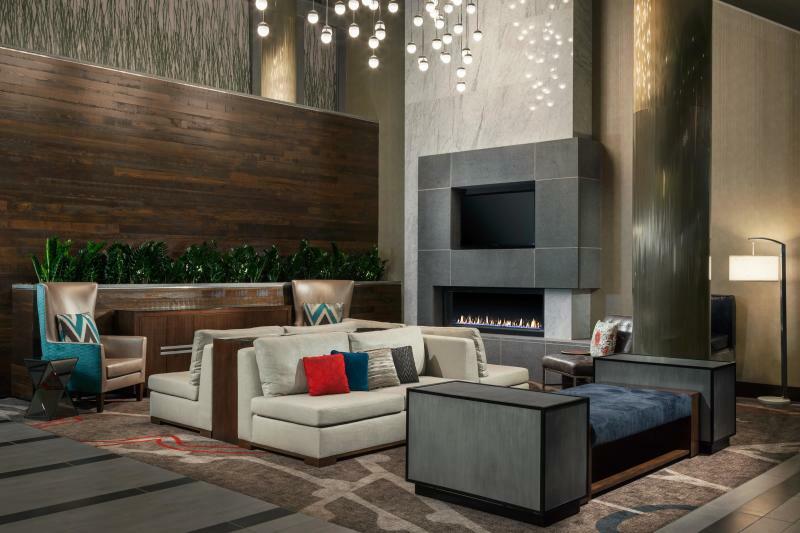 All of the inviting guest rooms at this LEED certified hotel features complimentary Wi-Fi, an ergonomic desk, microwave, mini-fridge and a Keurig coffee. Savor cocktails and American classics in our relaxed onsite bistro, Cafe Deluxe, and buy snacks and sundries from the 24-hour Pavillion Pantry. 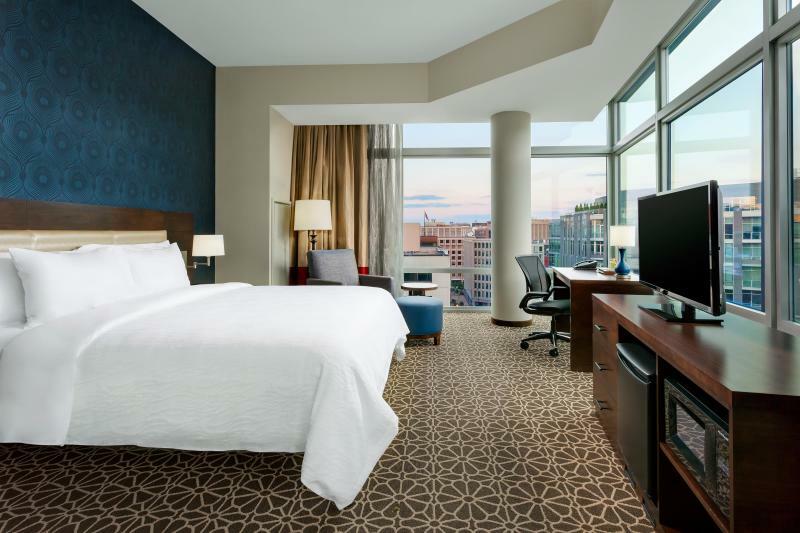 Keep fit in the complimentary 24-hour fitness center and enjoy swimming in the rooftop pool. Feel confident hosting your meeting or event in our brand new meeting facilities accommodating up to 150 attendees. Let our Industry experts handle the details when planning your next conference or social function. Featuring the contemporary cuisine of Cafe Deluxe, the catering menus are sure to delight everyone. For any last minute business needs visit our 24-hour complimentary business center providing complimentary fax, photocopy, color laser printing, high speed internet access, and various office supplies. Outdoor pool is on the roof.